At PetStuffWarehouse.com, we offer all kinds of Dog Training Shock Collars from very basic Dog Shock Collars to very advanced Shock training collars and tracking collars. 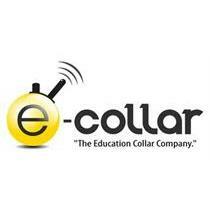 We carry electronic training collars to suit Small & Large Breed dogs, or to work with training multiple dogs. 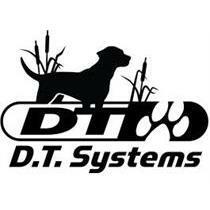 Hunting collars & electronic training shock collars for all types of Sportsmen can also be found here. Our prices and customer service cannot be beat by any other pet supplies competitor and our shock collar and e-collar selection is the best on the internet. 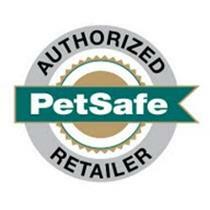 Here at PetStuffWarehouse.com, we offer a wide variety of Dog Training Shock Collars. 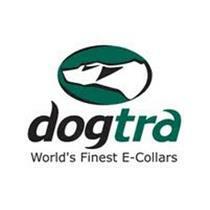 The types of training collars we carry varies greatly and searching for the right Dog Shock Collar can be daunting. We're not only here to sell you your perfect remote dog training collar, but to educate you on making the right decision. There are many factors to consider when purchasing an electronic training collar for the first time, including feature set, number of dogs, transmitter range, and ability to adjust correction levels. 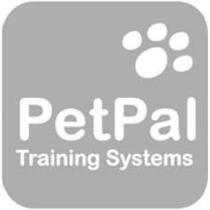 Does Training Your Dog Seem Too Daunting A Task? 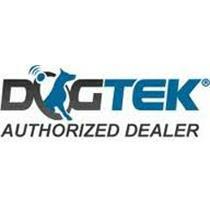 An Electronic Dog Training Shock Collar Can Help! If your dog is strong willed or has an assertive personality, you might find a remote training collar, also known as dog training shock collars, a very helpful tool to aid you with this task. 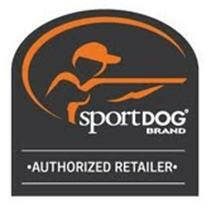 Very safe and quite effective, these types of training collars have been used for more than 25 years by dog training professionals, hunters and sportsmen, and military dog trainers to curb unwanted behaviors and to establish desirable behaviors. The efficacy of shock based dog training collars is a function of the instant correction or reward which can be delivered at the precise moment when it is needed, without the need to be standing right next to your dog or holding his leash. 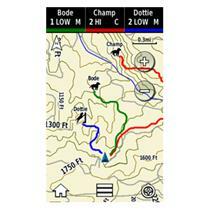 The instant feedback can aid in a faster learning process and lead to better communication between you and your dog. 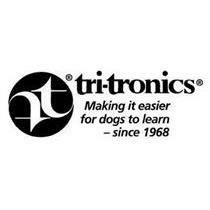 How Do Electronic Dog Training Shock Collars Work? These remotely operated training collars emit a mild static shock when you activate them with the push of a button, creating an immediate mental link between the unwanted behavior and the negative response – the shock. Since electronic or remote training collars require no physical strength from the user, they're ideal for smaller or physically limited individuals who cannot bodily manhandle a powerful or large canine during training. These products are designed to deliver safe, humane training corrections and eliminate the need to use physical force to train. Most are adjustable in the level of correction delivered to the dog, so they can be dialed up or down as necessary for the particular dog being trained. Dogs are quickly able to discriminate between desirable and undesirable behaviors without confusion when using training collars properly. Most dogs typically respond after just a few training exercises, and only need to be corrected occasionally afterwards. Anti-bark or bark control collars are activated by a timing mechanism which delivers the static correction at some short time after barking begins and continues. Better and more accurate units employ a vibration detection device where one of the contact posts actually detects vocal cord vibrations to cue the correction instead of measuring noise volume, which can falsely activate the collar from time to time due to loud noises other than dog barks. Are Electric Dog Training Collars Safe? In a word, YES. To date, there has been no research done with these training tools which shows any harmful effects, either physiological or neurological. 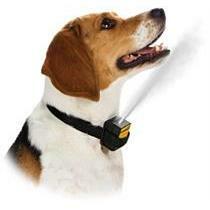 Electronic dog training collars will not harm your pet. The static discharge issued by these training collars irritates, but does not physically damage, the surrounding skin. It is only normal to be concerned when employing static shock corrections to train your dog, but keep in mind that it has been used effectively and safely for more than 25 years. Dog shock training and containment collars are not dangerous, but must be used responsibly and only after learning how to operate the unit correctly. This insures that your dog can learn effectively and prevents the possibility of unpredictable behavioral effects from incorrect or irresponsible usage. The efficiency of these shock collars is the startling effect of the correction rather than the pain it may cause. Many different training goals can be achieved using dog shock collars: Bark control, hunting & retrieving, agility training, and behavior modification are some uses. Safe and modern technology is used in the design of these dog training devices so you can perform valuable training without danger to your dog. It is a good idea to consult with a professional dog trainer if you are unsure about how to correctly use an electric dog training shock collar. Don’t let your dog be the victim of your incompetence in the use of these powerful training tools – train yourself in the training collar’s correct use first, then use it carefully to train your dog. You’ll be more successful in your training efforts, and your dog will definitely appreciate it. 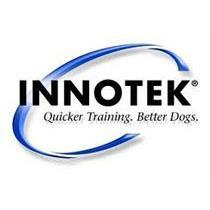 Are There Effective Alternatives to Dog Training Shock Collars? There are now citronella-based electronic spray collars used for anti-bark and dog behavior training. This type of collar sprays a mist of citronella scented liquid into the dog’s nose and face when activated, which dogs generally find offensive. Many people report success using these citronella training collars, and with citronella bark control collars. For easier to correct behaviors or for use when walking a high energy dog, a “pinch collar” or “spike training collar” can be effective when used properly and judiciously. Some use a smooth chain “choke collar”, but we find these both less effective and more dangerous to a tough or stubborn dog, as they might sustain long-term damage if they ignore the correction as many dogs do.